I mentioned recently (while declaring my love for the land of blog) that there might be a bit of a giveaway coming up at Patch Andi ... Well today is the day!! A while back, I purchased some divine Little Folks voiles from Corie at Banberry Place. 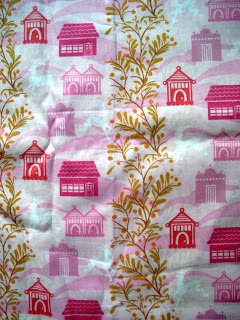 In fact, she was so keen to add to my pink fabric stash, that she sent it to me ... twice! So I now have 2 yards surplus pink fabric for which Corie has kindly agreed to sponsor a giveaway!!! And hooray for Kathreen, author of Whip Up-Mini Quilts who has also generously donated a copy of her book to give away too!! Kate has written a great review of the book over here for your reading pleasure. Please make sure you let me know where you are in the world and how I can contact you. I will draw a winner Monday morning (Melbourne time). Thanks again to Corie and Kathreen. Any colour of that voile is good voile - it feels so beautiful! I love the whole line. Thanks for adding me to the draw! Thanks for the give away and I'm sure glad I live in Australia for this one! I love the story behind this. Sounds like something I would do! I'll throw my name in for the second giveaway, over here in the US. Please please please put me in the draw!!! That voile is scruptious! Would love to be entered in the giveaway. I am excited about the book, and curious about the voile. I am pretty sure I can find a way to combine the two of them in some delicious way. Wow, an awesome giveaway! I don't have the book, but would love it, so i'm up for either prize. Ta, love! Please enter me in the draw... great giveaway! that is such a very great prize- thanks to all those sponsors and lovely you!! I hope I win- I picked up some of those voiles as my prize at SIT and this would go down very well indeedy. Thanks for the giveaway! 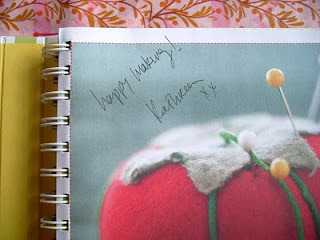 I haven't looked in at your blog for a couple of weeks - seems like i picked the right time! Do love the quilt you finished in a day - must have been a marathon! Well done! Oooh, please count me in for the yard of voile giveaway! What a lucky mistake! I love it when a giveaway is hoopless :-) May I join in both and if my name is pulled out for the Aust. only version could the book and fabric go to Mother Sylv down at teh beach???? Or is that being extrelmely cheeky?!?!? The voile looks beautiful! Thanks for such a generous giveaway. That voile looks divine. Wish I could enter for the book too, but too bad, I'm overseas. Well, sign me up for the fabric! Thanks for the chance to win such a lovely giveaway Andi.I'm also in Aussie :) Barb. mmmmm I finally got to stroke some of the voile at my LQS the other day, it is heavenly! Thank you for such a generous giveaway!! Thanks for sharing such a wonderful giveaway Andi. 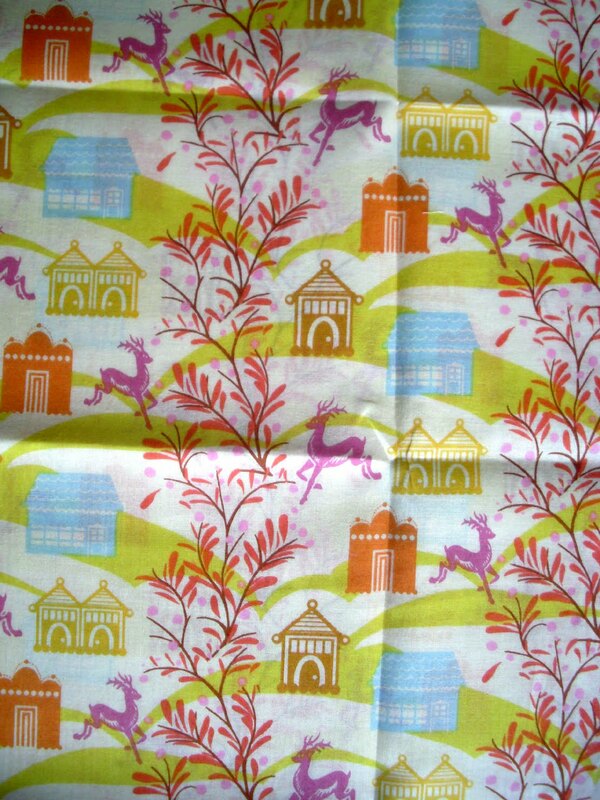 Beautiful fabric - you are very generous (and thank you absentminded fabric shop owner!). Book looks fab too - goody, goody living in Aus. ohhh, I don't have the pink one - it's gorgeous!!!! what a happy mistake! and how wonderful for the both of you the share it! thanks for a chance at the voile, i would love to feel this fabric i hear so much about! Im in the states...Indiana. count me in please! AWESOME STUFF!! Great giveaway!!!! Sorry but its too late in the night for me to come up with anything witty to say. Super Duper!!! I love a giveaway! Count me in for anything!! What a lovely blogger you are! The book is on my wishlist - looks great. Thanks for the giveaway, Andi! My fingers are crossed. :) That voile is so gorgeous! Pity, i had some great hoop-jumping tricks up my sleeve! I live in the USA...so I would love the fabric! So cool! I just found out what voile was! Lovely stuff. I had a quick look at someone else's copy of that book recently. I would love to own a copy. Thank you for the opportunity to win such a generous giveaway! Sometimes mistakes turn into beautiful opportunities! 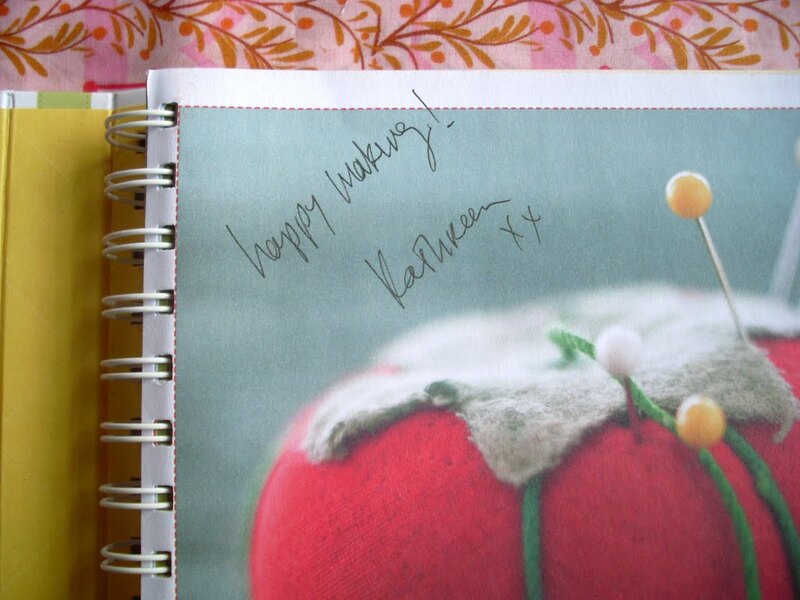 Both the voile and book look wonderful - thank you so much for the offer! Wow Andi..great giveaway. I adore that voile. The book looks pretty spesh too. They would both be great to win!! Oooh, that fabric looks so yummy - hope I win! What a great giveaway! That fabric is beautiful. I love the book too - but I am in in the US, near Boston. Thanks for the chance. Count me in please, Andi! I'm a bit of a pink pyjamas person, and the voile would be be ideal for some special summer jammies. Wow! I'd love to win that lovely pink voile! I'm in the US. Thanks for the great giveaway! Love that voile! Anna Maria's Little folks has become a obsession with me, so belive me I would put it to good use! Thanks for having such a wonderful give away, Sharonj. Yippee! I'm in the U.S., so please count me in for the voile giveaway. A yard of that voile would be a lovely thing! Thanks, Andi! I'm so glad there was a mess-up. I think it is a win-win-win. Thanks for the chance! Wicked giveaway! Please count me in! And I live in little old NZ. OH, I'd love some voile. I just got my sticky mitts on my first bit today and I love it! Hey Andi, what a great giveaway! i just love voile! For you I would leap through flaming hoops! Would love a win Ms Andi. Oohee. 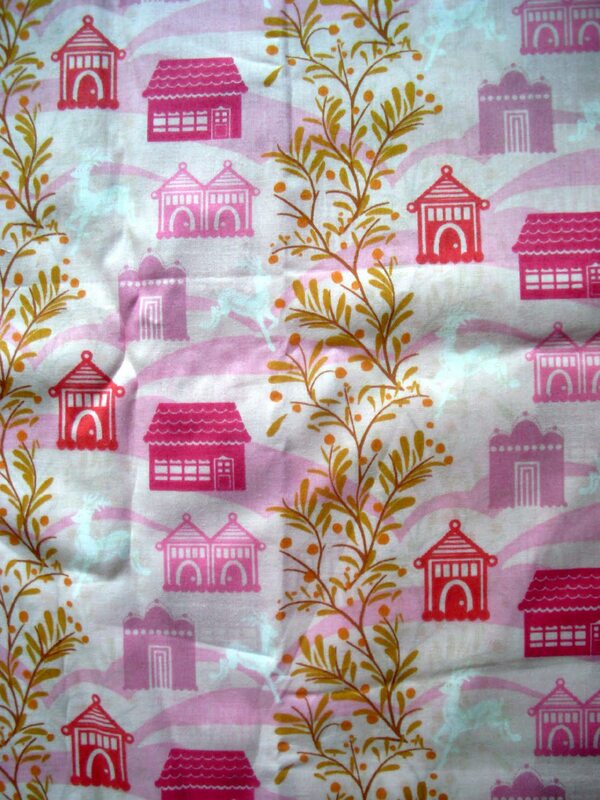 Pretty fabric. Thanks for the chance to win! I totally understand about the postage - having a sister who lives in Australia. I'm always trying to find small light gifts for her and her family! Please sign me up for the fabric giveaway though. Very nice of Banberry Place to agree to give it away. Thanks for the gorgeous giveaway! I'm in Australia - yay! Hi Andi - what a lovely giveaway, how exciting ! I can't believe I forgot to enter last night and 78 people have beat me! Great giveaway Andi. Thanks for the love. Pink is my favourite colour & the book looks great. Please enter us. You don't have to twist my arm very hard!!! COUNT ME IN!!!!! What a fabulous giveaway, love the fabric. Thanks for the chance..
wow what a lovely prize andi! just read the post about your amazing son - what a great attitude he has! 1 yard of the voile will be so lovely to own. Thank for the giveaway. can I play please? I am in OZ too. Oh wow aren't they (and you) generous! THat voile is so lovely. Hi! I would love some of that voile. I would love the book, too, but I am in Portugal. My email is in my profile. Thanks! Great giveaway! Love to be in it. Would love some voile - what a great giveaway! What a great giveaway! I am in country Victoria and would love to win! Well, wouldn't we all LOL! 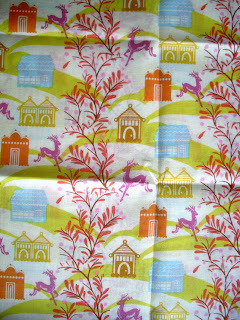 Hi I would love to win a yard of the voile fabric. Looks beautiful. I live in the UK ( + long stretches in NZ) but back in the UK till next January. I found your Blog via Red Pepper Quilts and enjoy following what you're making. How very generous of you creating this giveaway for us all - thank you - that voile is just gorgeous and I am so keen to start using some of it too. Hi Andi, thanks for generous and wonderful giveaway, the voile and the book look fantastic. I'm in Sydney. Thank you for the great giveaway and what such lovely fabric they are. What a gorgeous giveaway, I would love to enter and Im in Australia too! I've been eyeing off that book everytime I head into Borders :) Pity I can't afford indulgences such as these while I'm still a student...only only 4 more poverty filled years to go! Woooooo - that fabric is so pretty and would make a fabulous addition to the (v.little) fabric stash I am trying to build so that I can make my first quilt! The book would also be wonderful as I am a bit of a newbie and could use all the help I can get! I would be very happy to win one of the prices. 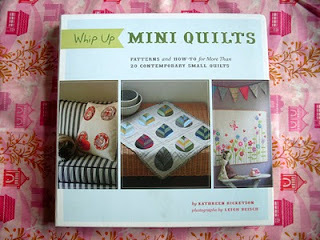 The fabrics are so pretty and the book I have seen in other blogs and it looks very inspiring.